I’m sick of hearing that life is short. People declare that “life is short” because it gives them an excuse to do stupid things or not plan for the future. In reality, life is very very long for those who hate their jobs, suffer from poor health, are in a bad marriage, or live in prison. Even if you’re not trapped in a bad decision, most modern people live long lives (about 80 years). I just read about five people still alive that were born in the 1800’s. Life is long and it gets even longer when we act like it’s short. Instead, let’s follow our hearts, do work we love, with people we love, care for our bodies, and build relationships that last forever. Get future posts by subscribing to “Thoughts from an 8pm Warrior” via email for free. For more of my marketing thoughts or to discuss a video project, visit AttentionEra.com or follow @AttentionEra on Twitter. Artists are the new gladiators. In a wealthy world, they are paraded around the internet “stadium” to get thumbs up on Facebook and YouTube if they are worthy, pinned to Pinterest if they make you look smart, or retweeted so you have something beautiful on your timeline. But only the few. The loudest. The most fierce. Only the ones who learn to be marketing agencies and artists at the same time. Only the artists who are willing to spend every waking minute fighting for your attention. In the end, most die poor and forgotten in a world that likes to focus on no more than 5 people at a time. Just like gladiators. Artists fighting to the death, are you not entertained? As a manager of musicians, husband to an artist, and filmmaker, I watch with horror as so much talent is wasted and people with gifts are slowly exiting their arena, ending the fight to make the world more beautiful and interesting. Others strengthen their resolve and give up hopes of having a family, buying a home, or retiring. Instead they live with parents, pack into group apartments and live off Ramen noodles. All so that you can enjoy free music, cheap art, and pretty photos to look at. We are losing something. We are turning the world into an ignorant land of McDonald’s and Ikea. Yes, we have made the world cheaper. Instead of paying our talented neighbors, we mass produce billions of one designer’s product, overseas, as we turn our eyes away from our neighbors and back to our Netflix, top 40 radio, and microwave dinners. The taste makers tell us how things should taste. This will make us sick. It has made us sick. Don’t take pride in your cheapness, take pride in what you’re buying. Rediscover craft and the craftsmen. Yes, it costs more, but it is an investment in our culture, a shared sacrifice for a richer world. Turn off the radio and TV. Listen to something new. 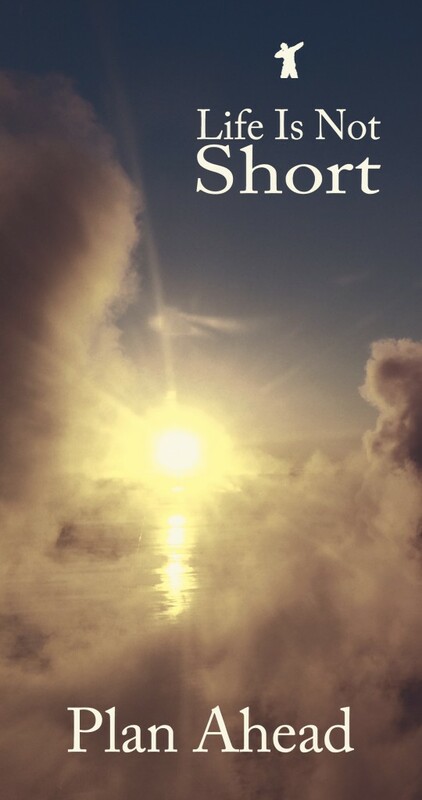 Discover an amazing short film on Vimeo. Never buy your jewelry at Target. Stop eating at Subway or Chipotle. Limit the number of times you feed your kids chicken nuggets or Mac n Cheese. Buy something meaningful for Christmas, not just the easy choice from the Top 10 list you saw on the plane. Know the name of who makes your food, music, art, and photos. Get to know them. They are dying for your attention. Honor them tonight. Do you work weekends too? When I send an email or tweet to someone on a Friday evening, it’s always interesting to watch who responds before the weekend is over. Those are the 8pm Warriors. They are usually the most successful people I know. The interesting thing about their success is that it has nothing to do with actually working on the weekend, but rather why they’re working on the weekend. Most people don’t work weekends because they like to enjoy a break from work. They want some time to do what they love and spend time with people they love. Me time. However, when people do work they love and work with people they care about, every day is like the weekend. Their work is joyful and exciting and meaningful. That is why they’re successful. Not because they need to work weekends, but because they want to. That is the key to success. You must love what you do to be successful. If you don’t love what you do Monday through Friday, get a new job or create one. Live inspired. Follow your passion. Work weekends. If you haven’t heard of the #SpiritedChef campaign from Applebee’s, click here to learn more. Applebee’s launched the Spirited Chef social campaign during their holiday menu. It’s a brilliant social media play, and I think “old marketers” can learn something from it. Old is just a state of mind. They hired 19-time world champion flair bartender Christian Delpech to help them make the best video ever by their fans. Their growing online community was invited to tweet suggested tricks, stunts, costumes, and pretty much anything else they’d like to see this amazing performer do, using the #SpiritedChef hashtag. After a couple weeks, the #SpiritedChef hashtag has gotten millions and millions of impressions on Twitter and Facebook. Many suggestions were made and the film crew headed out to Las Vegas to film the video the fans wrote. I became fascinated as I watched the social media strategy unfold under the brilliant guidance of Jill McFarland, Jonathon Brewer and the BTC Revolutions team (Applebee’s digital agency). 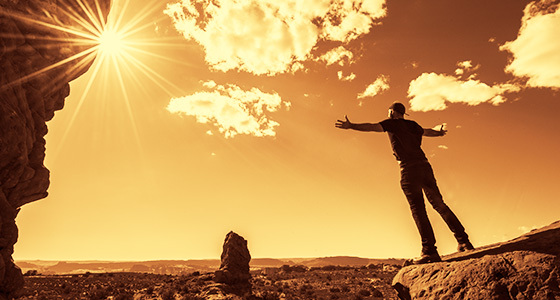 Here are five thoughts for “old marketers” that might need a little nudging into the new era. Our world is changing so fast. If you want to keep up, you have to do things that are unknown and unproven. Risk is part of leadership and leadership in a changing world is the only way to survive as a brand (just ask Circuit City). Besides that, people are weird. If you want to relate to people, sometimes you have to be a little weird too. One of the things that Applebee’s does exceedingly well is keep an open mind and interact with their customers in a personal manner, no matter what sort of online sub-culture they belong too. There’s a very large group of men that enjoy My Little Ponies. They’re called Bronies. By some estimates, there are about a million of these gentlemen out there. The Chili’s restaurant group decided they wanted to engage with their Brony customers and designed a Chili’s My Little Pony. 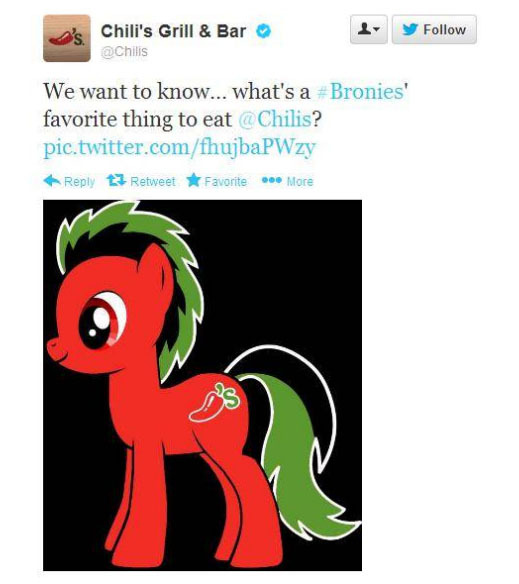 They then tweeted it out asking what were the Bronies’ favorite things to eat at Chili’s. The responses got ugly and Chili’s quickly retreated and deleted the tweet. Later on, Applebee’s had a customer ask if the Spirited Chef liked ponies and they engaged in their typical personal fashion. The Brony tweet made it into the above video. The community of Bronies responded and 12,000+ views came from blog posts on My Little Ponies related sites. One group in Manhattan even went so far as to throw a party at the local Applebee’s to thank them for not being afraid of the topic like Chili’s was. This is just one interesting example of success due to “brand bravery”. When you watch the video, you see all sorts of other sub-cultures involved from Minecraft and unicorns to Corey Pieper and One Direction fans. Lesson learned: Don’t be afraid to engage with your customers on their turf, even if their turf involves a little pony. Applebee’s tweeted many times about this project and I noticed that some types of tweets got more responses than others. More people (20 people in top tweet vs 3 people in bottom one) added suggestions after the call to action made a specific ask (second tweet below). People don’t really care about much, so don’t ask for much thought unless you have a huge payoff. Keep it simple. Keep it specific. Lesson learned: It’s okay to vary your posts and get more specific if you’re not getting the volume of responses you want. To add a level of transparency, the group was streaming live video from behind the scenes during production. Not only did this combat the usual “camera trick” conspiracy theorists, but it made the hundreds of people watching the live broadcast feel more involved. They got a chance to see instant replays, as well as interact with the Applebee’s brand on Twitter. Luckily we didn’t make too many mistakes, but even if we did, we’d probably get a lot of leniency from a world that appreciates honesty and transparency. Lesson learned: You build trust and ownership from customers when you open up and share the process. TV commercials don’t usually translate well to social media and YouTube because they are one-way messages in a two-way social media world. People expect to be engaged and entertained in social channels and if you do it right you’ll get tons of exposure through earned media and the subscription base you’ll build. Keep pushing traditional broadcast commercials on your YouTube channel and you’ll keep getting the same poor results. After switching styles, Applebee’s saw subscriptions rise by 20% in the first month of the #SpiritedChef campaign. As long as they keep creating social video content, they’ll have those fans for years to come. No advertising dollars needed. More about that in this article. Despite having 5,000,000 fans on Facebook and 250,000 followers on Twitter, this video by Applebee’s only got 100,000 views in the first week. Why’s that? Each network has it’s own flavor and quirks. On Facebook people statistically don’t like to leave the ecosystem when they’re browsing. They may watch the video, but won’t generally click to the native YouTube page to comment or give a thumbs up. Why then do tons of YouTube video channels have thousands of comments? It’s because they’ve built a YouTube specific community that waits for their videos, that comments on their videos, that shares their videos with others in the YouTube ecosystem. Lesson learned: In order to consistently get lots of views on YouTube videos without a huge advertising budget, you need to build a community of people that watch videos. That takes time, and it takes consistently great videos that make people want more. Applebee’s is finally on their way. 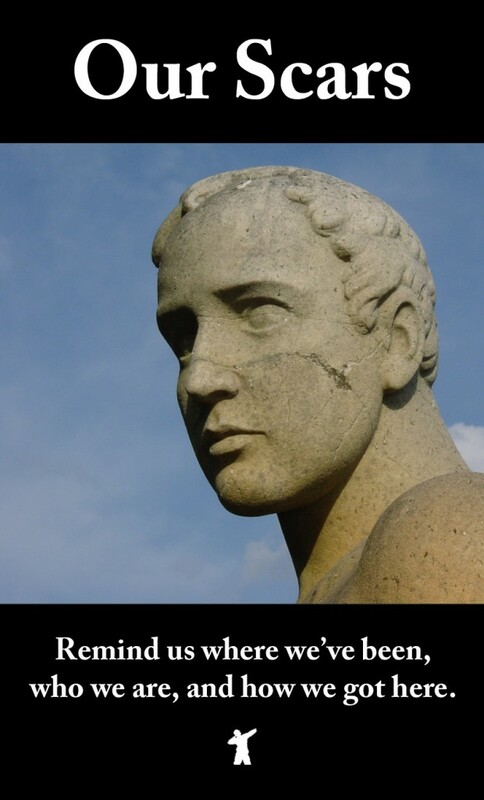 Are You Proud of Your Battle Scars Yet? It’s amazing how people are so proud of their scars once the pain is gone. I know I am. I immediately dove into the lake the other day after my phone fell out of my pocket and off the boat. I somehow managed to grab it in the depths of the lake before it sunk to the bottom. The phone was ruined, but I was so proud of it when I came back to the surface. Proud of my broken phone? Someday will I be proud of my big failures? Will I be proud of the many mistakes I’ve made? I’m not sure. Some of these events are still so painful. However, I will be proud I kept going…kept fighting forward. The scars will be proof. They will remind me of where I’ve been, who I am, and how I got to where I am now. If you’re still in pain over your failures, I wanted to drop you this note tonight and tell you that someday you’ll be proud of what you’ve gone through. We are warriors. These battles we fight are painful. Most quit. We get hurt. We have scars. Get future posts by subscribing to “Thoughts from an 8pm Warrior” via email for free. Some people fight change. They think it helps them avoid losing their way, falling, or failing. “If it ain’t broke, don’t fix it.” Right? In a world of constant innovation and progress, staying the same is getting worse. Your position is slipping, even if you’re holding still. Everybody is changing. Getting better is the only way to not get worse. Lately, I’ve wondered if I’m slipping a bit myself. I’ve been seeing a lot of time-lapse imagery in TV shows and movies such as House of Cards, Gold Rush, and Art of Flight. We’ve used time-lapse before, but not at the level I’m seeing out there now. Regardless of what industry we work in, we’re all going to change. That’s a fact. Today I’m choosing to get better. I’m saying goodbye to the wife and kids, jumping on a plane to one of the most beautiful places on the face of the earth, and we are going to master the art of time-lapse for our clients. I want to be the best, and I need to keep moving forward. We’ll be using the #MKE2CA (Milwaukee to California) hashtag for Twitter and Instagram, as well as posting photos and videos from the trip on Facebook and the Attention Era Media blog. If you have time, I’d love to have you along for the journey. Maybe we can inspire each other. As a video producer & director, I work with a lot of creative talent. I also work with a lot of business leaders and entrepreneurs. After hearing it again today, I wanted to share a little insider secret. The “Big Break” doesn’t exist. Not only that, but it’s a damaging idea because some people are literally waiting for their big break. Instead of hitting the pavement each day, running for their life towards their goals…they are waiting. 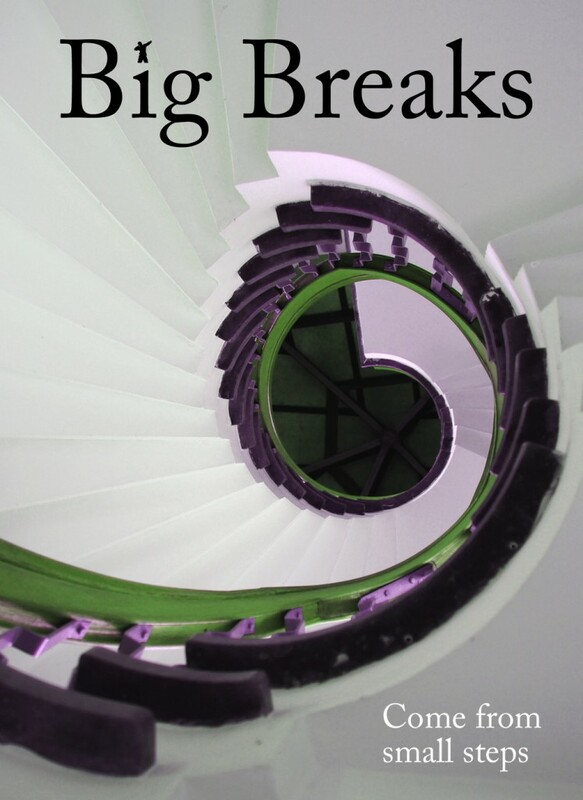 Every “big break” is really just a series of small steps. The person got better every day. They made more connections. They moved forward. Then, they ran into the right person. Big break you say? Nope. The right person isn’t Santa Claus, delivering big breaks. The right person doesn’t help people who aren’t right for them. They aren’t a charity. You need to be ready when you meet the right person. 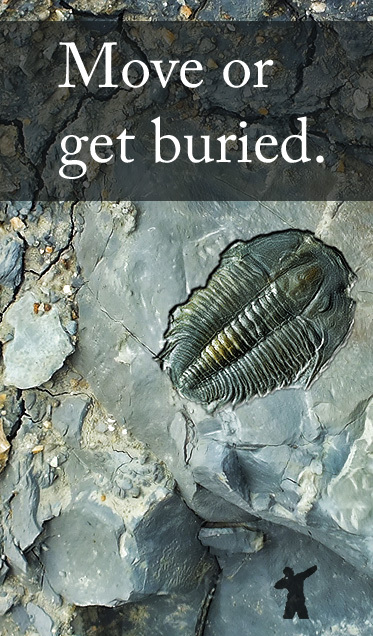 It won’t be your big break. 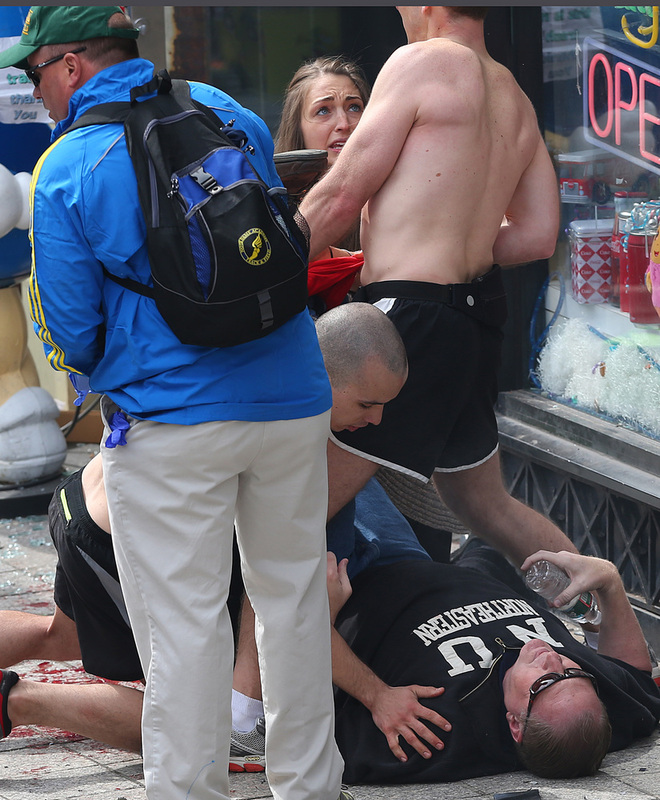 I saw the graphic photos and the footage of the bomb going off at the Boston Marathon and it shook me too. I had friends running that race. Yet, here I was in Milwaukee. Powerless. I couldn’t clear blast debris. I couldn’t carry victims to safety. The Red Cross didn’t need blood. I couldn’t chase down the cowards who bombed the race. So I did all I could do. I’m a video guy. I made a video, so that nobody would forget the heroes and victims…so nobody would minimize what just happened. Nobody is powerless to help. We must all do what we can. Blog, tweet, share, pray, encourage. Whatever we can. We must.